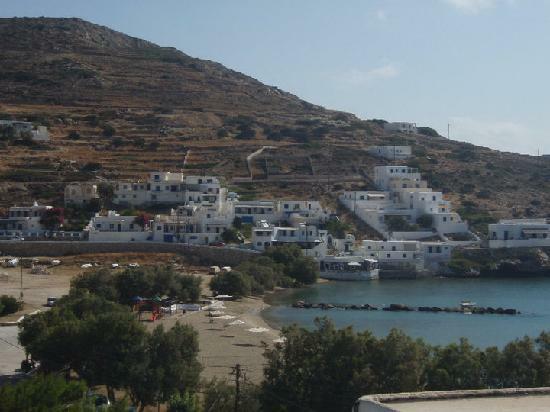 Sikinos is yet another of the Cycladic islands in the southern Aegean Sea, located between the islands of Folegandros and Ios and within 14 and 10 miles respectively. It was known as Oinoe (Island of Wine) in the ancient years. It contrasts with nearby islands, like Ios, in being quiet and relatively less developed. 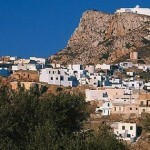 There are two villages, one being a harbor, and the other, Chora, higher up in the hills. 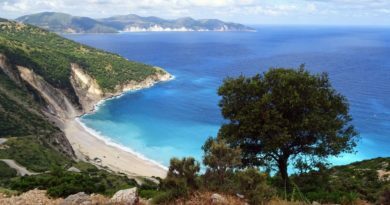 The beach at the harbor is one of two large sandy beaches on the island, here you will as well find a few tavernas. 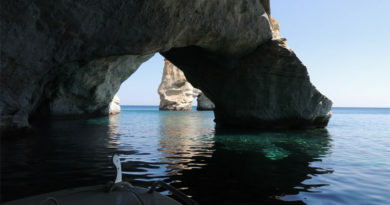 Several ancient ruins are to be found on the island, although some are remote. There are only 2 paved roads, a third being built to connect the nascent heliport and eventually a new resort on the other sandy beach, and there are several well-maintained dirt roads. Much of the island is quite difficult to access due to the terrain. 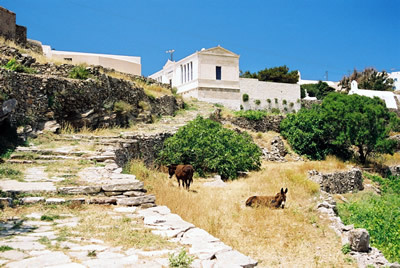 Nearly all of the island is covered by terraces once used for extensive agriculture. Now only a handful are used across the island. 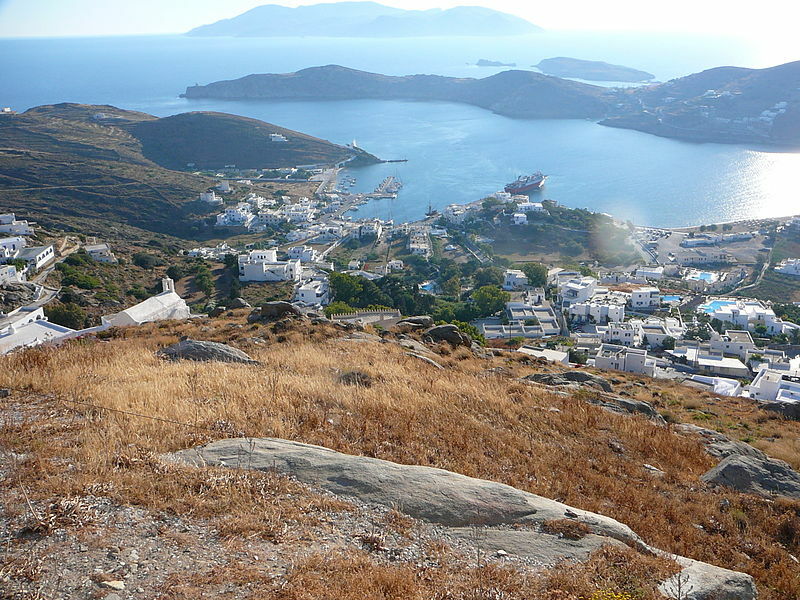 In 2001 Sikinos had a population of almost 250, the community includes the uninhabited island of Kardiotissa and other uninhabited islets. 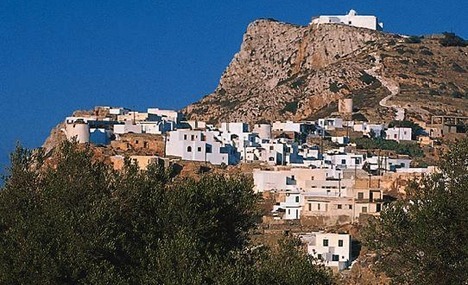 The castle, built on a cliff 280 meters above sea level, is an old fortified village of the 15th century. Therein lies the square, town hall, clinic, shops and cafes. In the church of Pantanassa there is a goldplated iconostasio carved in wood. 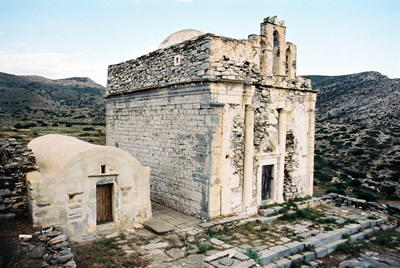 The picture (in the middle above) shows the church of Episkopi which is to be found about 4 km from the center of the island. 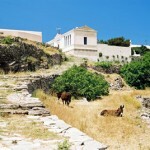 It was used as a Christian church in the early Christian era of Sikinos. 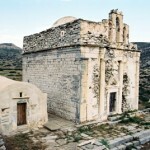 One of the main features of Sikinos are the chapels, of which the number is 61. There are six Byzantine churches (belonging to the type of single-aisle, vaulted basilica) with frescoes from the 13th and 14th century.